for $75,000. The lot size is 42,253. You will LOVE the views from this parcel! A perfect backdrop of the Bradshaw Mountains for those Arizona sunsets all from your backyard! Escape the city and build your dream home on top of the hill with mountain views all around. A great location for the outdoor enthusiast with plenty of trails to hike or ride your toys! 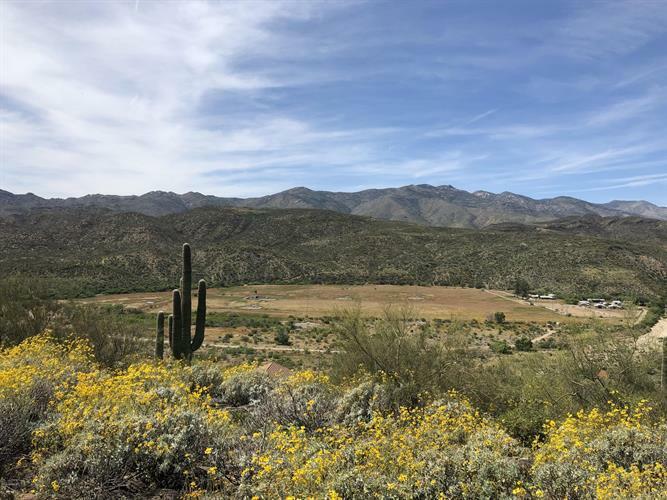 Convenient location, paved roads, close to all the amenities and easy access to the I-17 freeway.